"Piano Bar & Spring Hero"
Dima Ustinov is a Moscow-based music producer and DJ, also known under aliases Taras 3000 and Dima Yaponets. With 7 years of experience, the artist has toured in Saint-Petersburg, Tokyo, Kiev, Riga, Vladivostok, London, Sochi, Beijing, Stockholm, Venice, Barcelona and performed at festivals such as Sonar, Positivus, Bee Kite, Afisha Picnic, Venice Art Biennale, and Vladivostok Film Biennale. 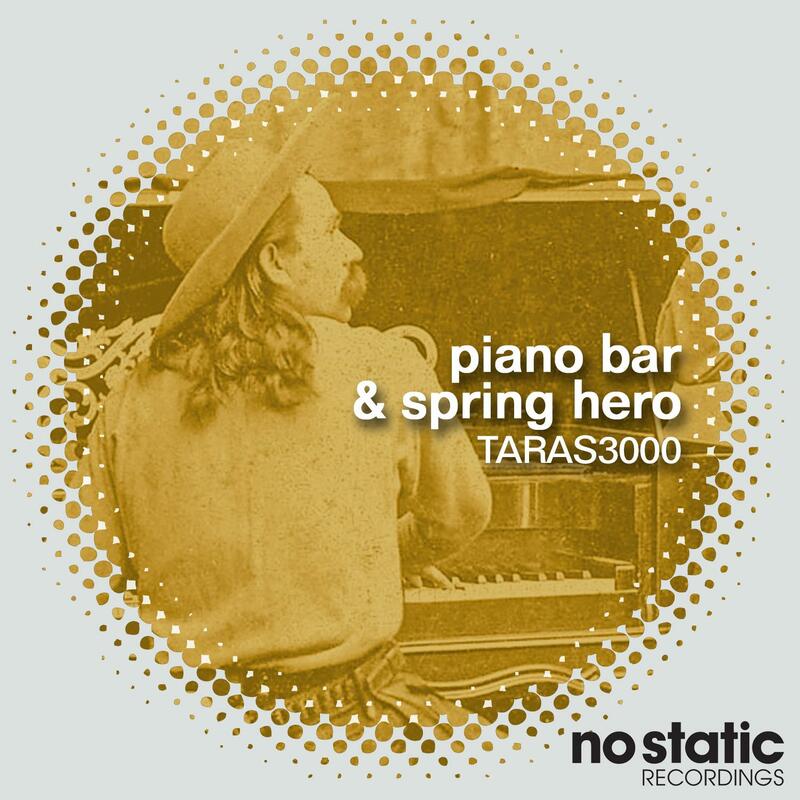 At No Static we are pleased to be releasing Taras 3000 new EP Piano Bar and Spring Hero. The first track offers a smooth and cheerful groove with synths, 80s guitar and catchy drums. It brings you directly to a lively and energetic disco world where the animated bassline will keep you wide awake. The next track is a peaceful walk into a meaningful piano ballade that slowly builds up to catchy and soft vocals, pad sounds, and groovy drums. With this Ep Taras gives us these two different energies that make it authentic.